Kurayoshi"- Little Kyoto" SUBPAGE | All Japan Kyoto Association"
Located almost at the center of Tottori Prefecture, Kurayoshi is surrounded by famous hot spring areas such as Togo, Misasa, and Sekigane. The town has a long history which dates back to the 14th century when it was called the Province of Hoki. There was a castle on Mt. 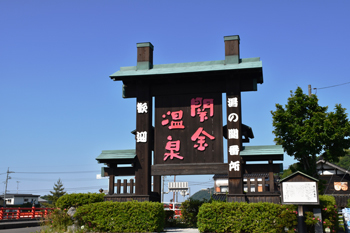 Utsubuki and a town was developed around the castle. Old storages with white earthen walls and traditional merchant houses still retain the atmosphere from that time. Old storehouses with white earthen walls stand along the Tama River. Many of them were built between the end of Edo and early Showa periods. A stone bridge crossing the Tama River and the white plaster walls emanate a nostalgic ambience in the town as if time flows more slowly here. 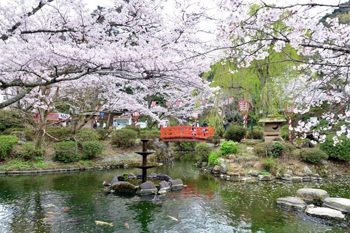 Utsubuki Park is the best cherry blossom viewing site in the Sanin area. 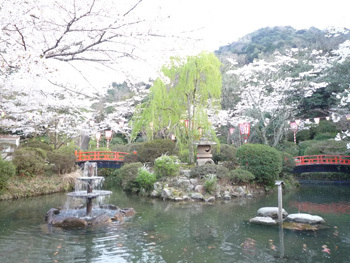 About 1,000 cherry trees and azalea trees reach full bloom and welcome tourists. There is a museum, mini-animal park, sumo wrestling ring, baseball studio, tennis court and athletic stadium. This old temple, built in 1605, belongs to the Soto Sect of Buddhism. Here can be found the graves of the last samurai governor of this region (southern Chiba Prefecture) and the castle master of Tateyama Castle, Tadayoshi Satomi, along with his eight faithful retainers. They are said to be the models of a famous Edo-period novel, “Nanso Satomi Hakkenden.” Tadayoshi passed away at the age of only 29. 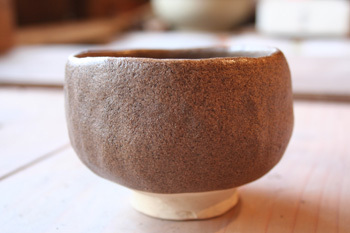 He resided in Kurayoshi for eight years and a pottery plate which is said to have been donated by Tadayoshi is still cherished carefully today. Between 1573 and 1592, a Buddhist monk, Zenren Janen Yobunno Shonin, merged three temples into one and built a new temple at the present location. 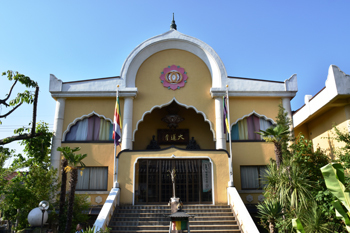 The main hall looks modern as it was restored in 1955 and is made of reinforced concrete which is a rare example of such a temple in the prefecture. This temple is known to be the place with which the samurai warrior, Yoshisuke Wakiya and a powerful merchant from Osaka, Seibei Yodoya, had strong connections. 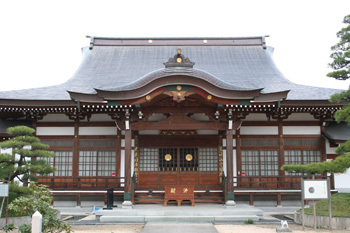 The main hall’s interior is designated as an Important Cultural Property and is one of the few remaining examples of a building from the late Muromachi period in the Sanin area. 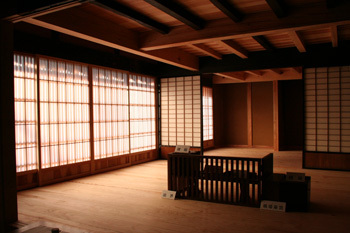 Inside the hall there is a display of about 50 large and small ema (wooden votive tablets) which tell of the life and culture of people from the Muromachi to Meiji periods. The ema of a legendary white horse is a worth taking a look at. Located in the southern part of the city, Sekigane Onsen hot spring has an extremely long history dating back to 1300 years ago. The water is colorless and is without taste or scent. It has long been called “Shirogane (platinum) Hot Water” and was selected as one of the 100 Best Hot Springs in Japan. It is a simple thermal, radioactive spring (natural radium spring) which is effective for nerve pain and rheumatism. 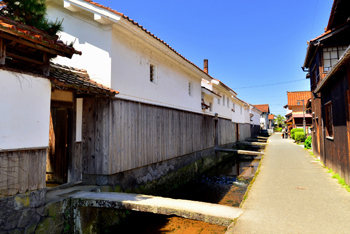 The area flourished as a popular lodging location in the Edo period. 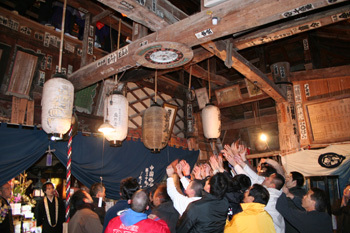 At midnight, many people visit the temple to receive a special amulet called “Go-o,” a stick-like amulet which is believed to protect the person and bestow good fortune. 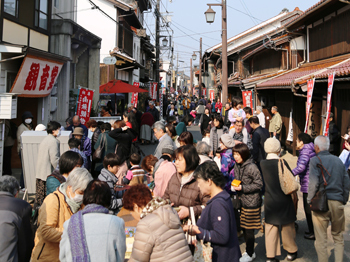 After the Go-o Sazuke ritual at Hase Temple, a market will open in the town called Kannon Ichi with a number of stalls along Honmachi Street between Nishimachi and Higashi Nakamachi. 500 Large and small lanterns will be set in Utsubuki Park, the best cherry blossom viewing site in the Sanin area. A number of people come and enjoy cherry blossoms and azalea flowers. 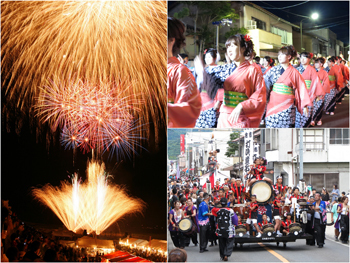 Many fun events will be held during the festival period. 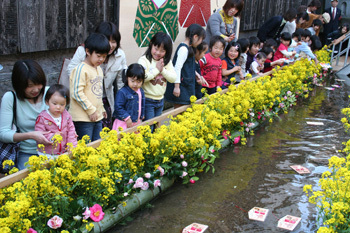 People release little dolls onto the Tama River wishing for the health and good growth of their children. A decorative float parade, mikoshi portable shrine carried by women, gorgeous fireworks and many other fun events will welcome visitors. In the Mitsuboshi Dance Festival, 1,500 dancers enjoy dancing all together. There are eight kilns in Kurayoshi which produce fine ceramic works born from the combination of traditional and contemporary techniques. Extremely fine and complicated patterns are woven on the fabric. The more it is used and washed, the more beautiful the fabric becomes. 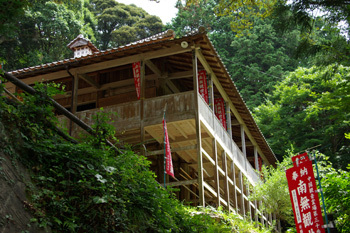 At Kurayoshi Furusato Craft Museum, the craftspeople of Kurayoshi Tsumugi demonstrate Kasuri-ori weaving and sell their items. Kurayoshi MICE Association provides the “Kurayoshi Tsumugi Walking Plan” which includes Kasuri kimono rental, hair arrangement, and lunch. Hakota is a traditional paper doll made of paper. 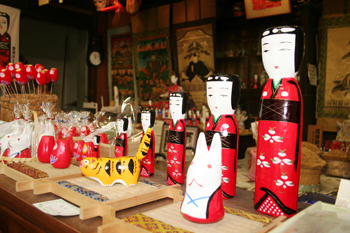 In olden times, parents made a Hakota doll and let their children keep it as an amulet. 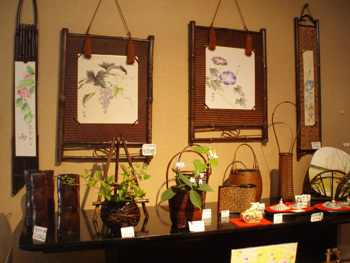 A variety of bamboo crafts, from traditional to contemporary, are displayed. The diamond shape kite has been called “Ika” in Kurayoshi. 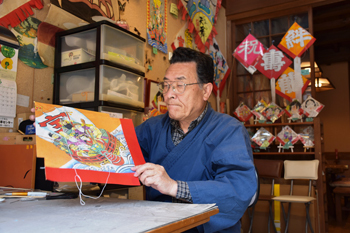 At Tako Kobo, visitors can try painting on the Kurayoshi Ika, framing, and attaching thread. Original kites can be ordered with the name of your child or grandchild, or the name of a company. Ishitani Seikado has offered Utsubuki Dango sweet dumplings for over 120 years. 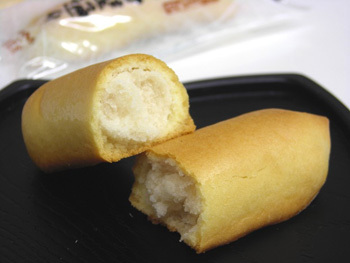 The dango is a signature sweet from Kurayoshi. 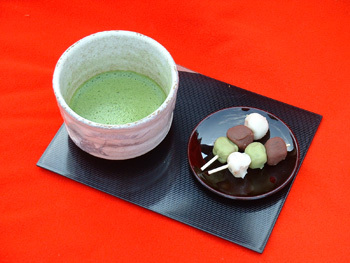 Small rice cakes are covered with sweet bean jam in three colors: white, red and matcha green. Aromatic manju sweet dumpling using locally brewed sake. Chestnut seeds and finest quality red beans are two main ingredients of this simple yet tasty sweet. 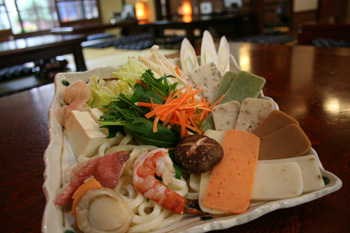 Popular dish using rice cake with over 100 years of history. In the central and western part of Tottori, there are many ramen restaurants offering soup prepared from beef bones which was a popular soup in the area after the war. Kurayoshi has many recommended beef bone ramen places. 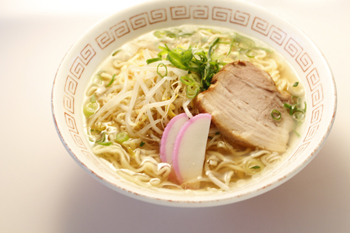 Not only ramen restaurants, but local diners serve this ramen, too. Try some and compare the difference. In general, watermelon is grown on the grafted tree of a gourd in order to avoid replanting failure and disease. On the contrary, in Kurayoshi, watermelon seedlings are grown on a watermelon tree. Though this method requires much more time and effort for the farmers, doesn’t allow for replanting and has a risk of disease, the fruits grown with this method taste just excellent. 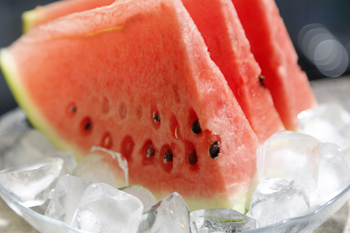 The number of Gokumi Watermelon is very limited but it is a must-try if you visit Kurayoshi in the summer.